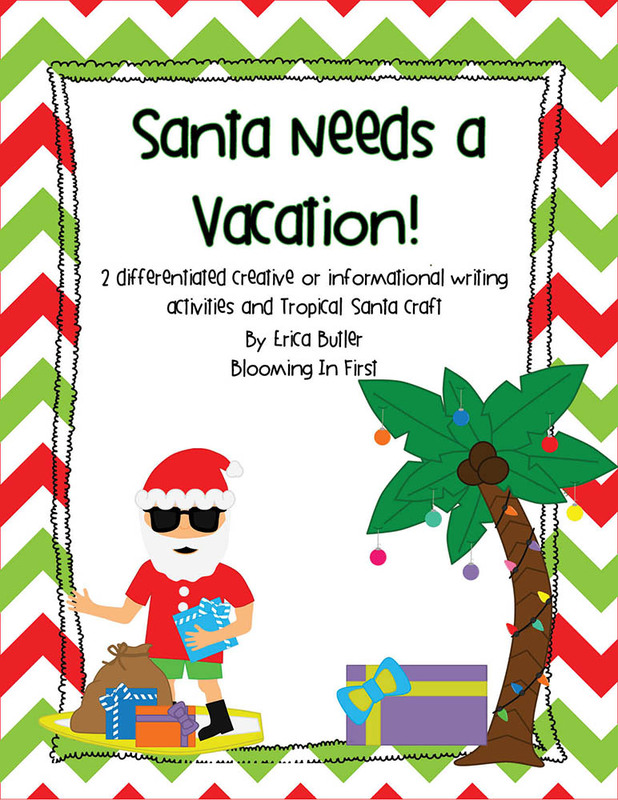 Growing Little Minds: Santa Needs a Vacation! 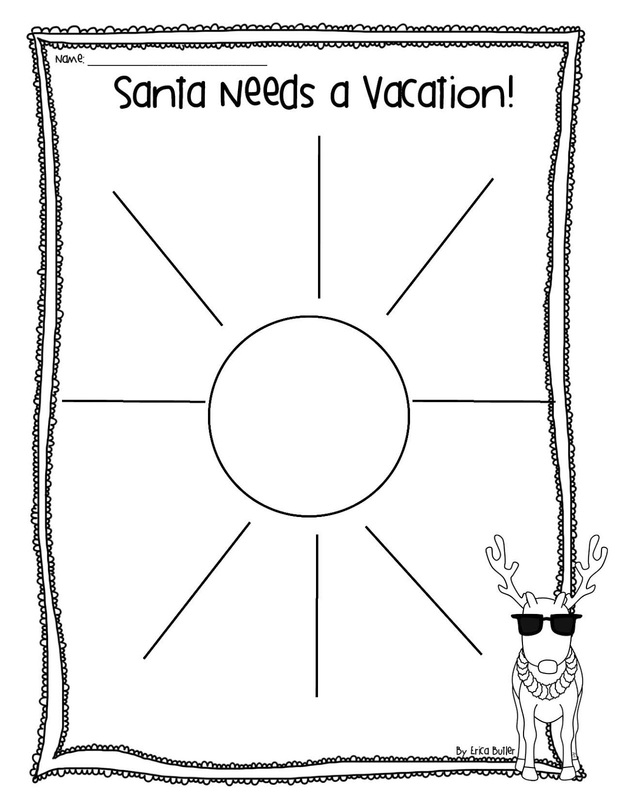 I finally finished my newest activity and posted it to my TPT store. It is really cute, and I am so excited to do it with my students! 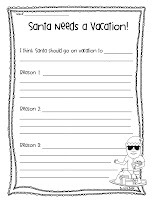 Best of all, it's flexible enough that if I don't get to it in the next 3 jam-packed weeks, I can even do it after Christmas!!! It's even differentiated! There are 2 different writing assignments. 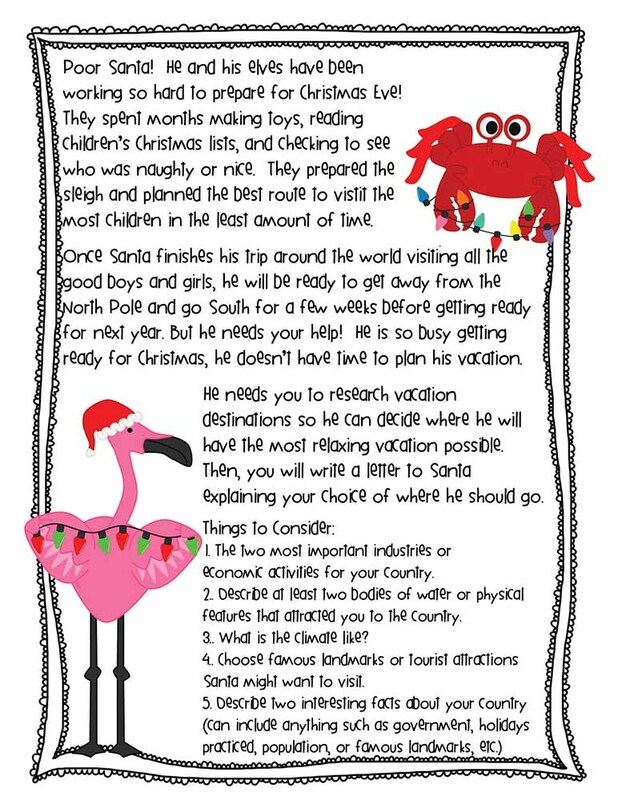 One is an informational writing assignment for older students where they can research a tropical vacation spot and write a letter to Santa explaining where they think he should go on vacation, with 3 reasons why. There is a graphic organizer to organize their thoughts. 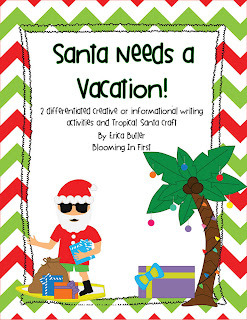 The second is a creative writing activity about what Santa does after Christmas. 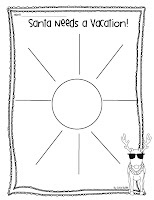 There are graphic organizers for both younger and older students included. There is a page that explains to the older students what their assignment is. Some of the graphic organizers included. 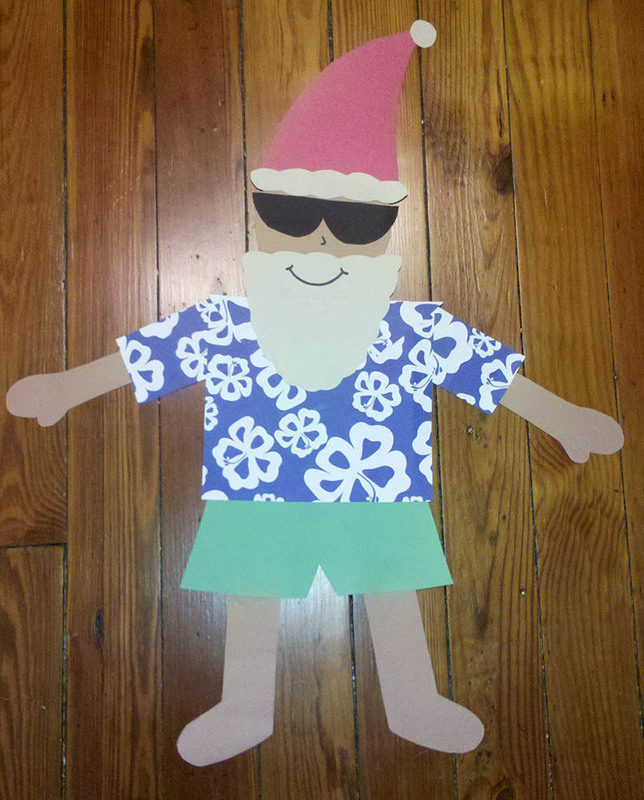 And check out the cute little tropical Santa your students will make! There are 2 Santas included, a smaller Santa and a slightly larger one. 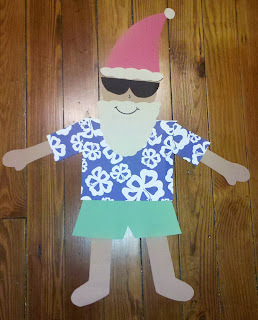 You can make the full body Santa like I've made here, or you can make just his shirt and head. The choice is yours! Sorry the picture kind of stinks- my camera is at school so I had to take it with my cell phone. I'll try to update to a much better picture later! If you are interested in this pack, you can find it here.. This is the first time I've ever made anything like this, but I'm super excited about it! 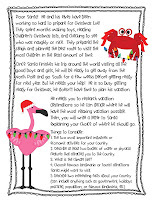 :-) Thanks, Ashley Hughes- your clip art inspired me!